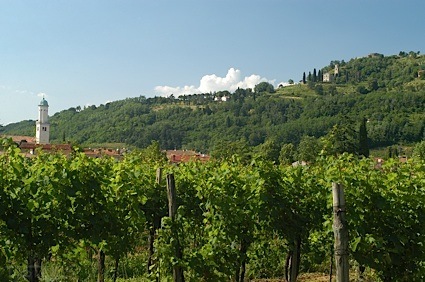 Bottom Line: An elegant and stylish cabernet that has a lot to offer now and even more with patience. 89 • Galil Mountain 2016 Merlot, Upper Galilee 15% (Israel) $17.99. 87 • Gilgal 2016 Sauvignon Blanc, Galilee 13% (Israel) $19.99. 92 • Yarden 2016 Chardonnay, Galilee 13.9% (Israel) $22.99. 90 • Yarden 2016 Katzrin, Chardonnay, Galilee 14.5% (Israel) $36.99. 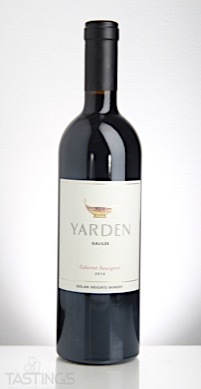 93 • Yarden 2014 Cabernet Sauvignon, Galilee 14.5% (Israel) $32.99. 90 • Yarden 2009 Blanc de Blancs Sparkling White Wine, Galilee 12% (Israel) $32.99. Yarden 2014 Cabernet Sauvignon, Galilee rating was calculated by tastings.com to be 93 points out of 100 on 4/5/2018. Please note that MSRP may have changed since the date of our review.